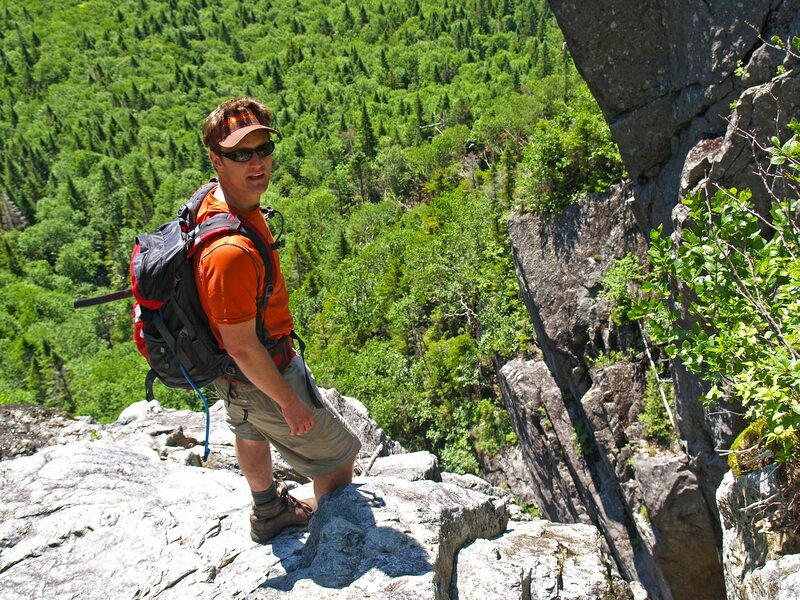 Kevin MacKenzie is an Adirondack writer and photographer, licensed to guide in NY state and is associate registrar at St. Lawrence University. He lives in the Lake Placid area with his wife, Deb (also a freelance photographer). 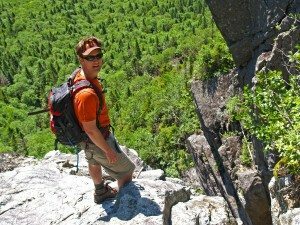 His articles and photographs have been featured such magazines and journals as Climbing, Adirondack Journal of Environmental Studies, Adirondac, Adirondack LifePeeks, and Adirondack Outdoors. Many of Kevin and Deb's photographs are featured on the Adirondack Wildlife Refuge and Rehabilitation Center's website. 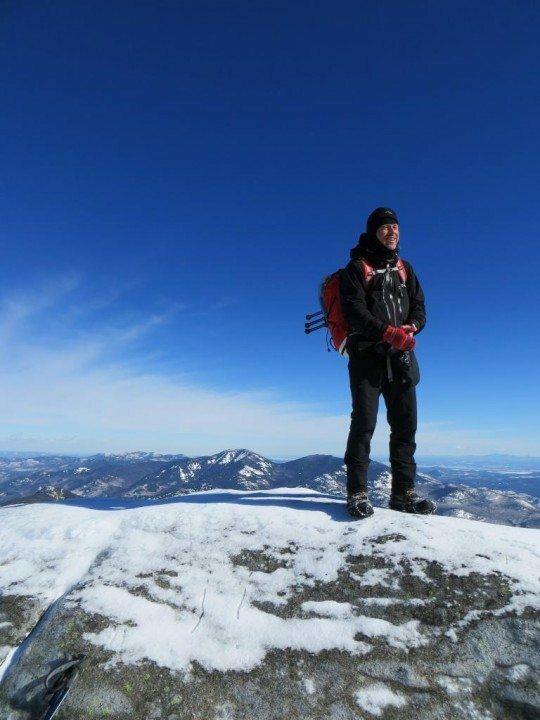 Kevin is an avid slide climber, rock/ice climber, winter forty-sixer, board member of the Adirondack Climbers Coalition and member of Climbing for Christ. 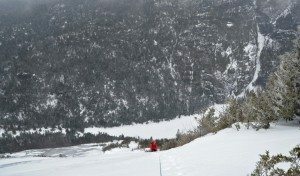 His passion for climbing slides and pioneering new backcountry technical ice and rock routes takes him to some of the most remote areas in the High Peaks. His website and Summitpost forum page contain trip reports, photos and video from many of his explorations. Gothics North Face is like an old friend — engaging, fun, familiar, and even a bit moody. I look forward to visiting it annually, usually during mid-winter. Early-season climbing conditions involving thin ice and expanses of bare anorthosite generally set up in December or January, so a trip during November is a novelty. I couldn’t think of a better way to celebrate the Thanksgiving weekend than by involving another old friend in my visit, Adirondack Forest Ranger Scott van Laer. 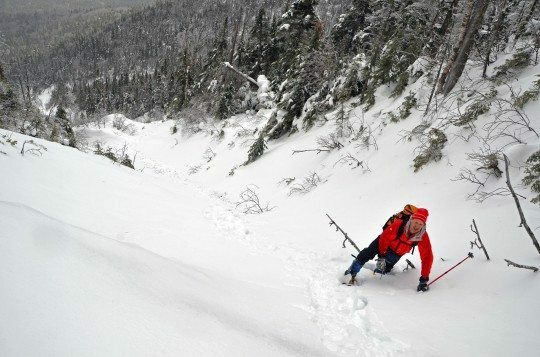 Together we’ve explored several of the Adirondacks’ most dramatic backcountry slides: Marcy’s East Face, Saddleback’s Chicken Coop Slide, and Big Slide Mountain. While he’s certainly in it for the adventure, he also views each trip through the lens of a rescue professional. The more he knows about the approach and exit, features of the slide, types of available climbing protection, etc., the easier he can assess it if a rescue is needed. » Continue Reading. Giant Mountain’s Eagle and Bottle slides are two of the most commonly climbed slides on the mountain. There are, however, at least eight other major tracks worth the effort. One, the Diagonal Slide, lies directly between the remnants of the Question Mark Slide and Bottle Slide. This smaller yet more challenging brother to the Bottle lies on the northwest side of the same ridge. With a southwest aspect, the Diagonal yields a breathtaking view of Giant’s summit and ridgeline below the Zander Scott Trail. 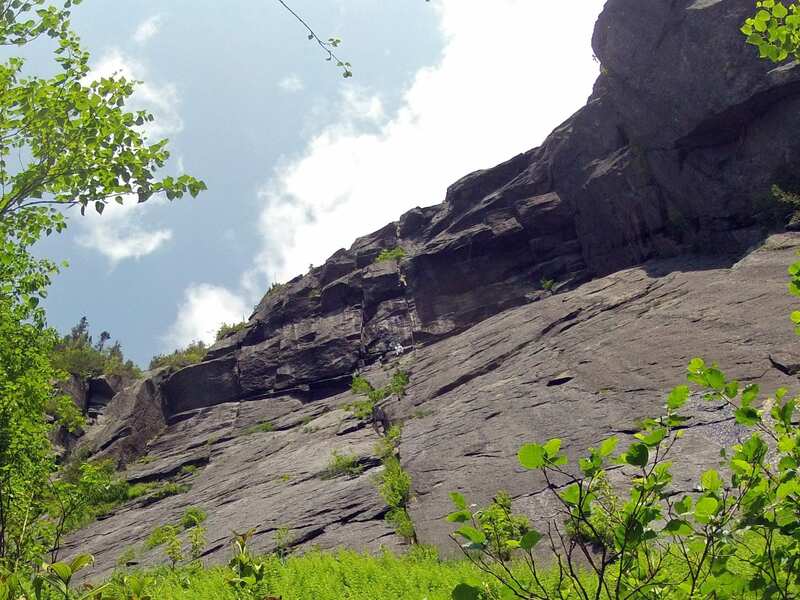 Giant’s summit overlooks the track from bottom to top so expect an audience if you’re noticed. 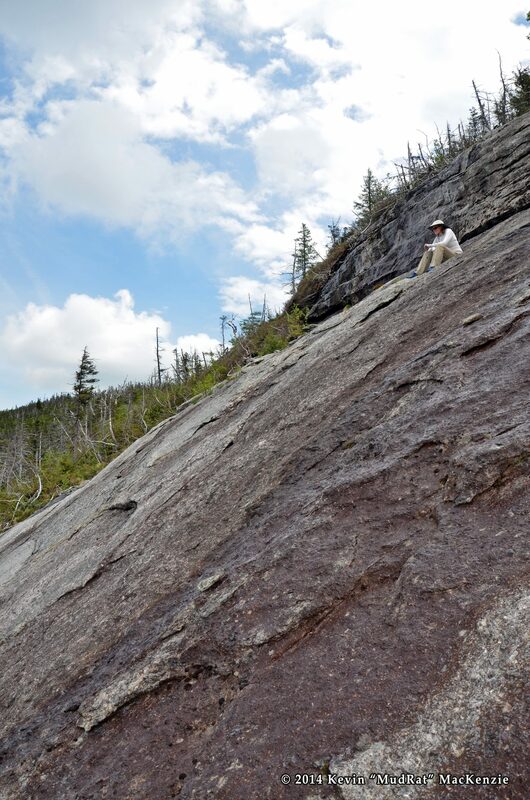 Before Tropical Storm Irene in 2011, scrambling conditions are the rule on this challenging strip of anorthosite. Segments of it are well over 100 years old so one should be comfortable climbing on old-exposure slab with intermittent areas of heavy moss and lichen. If you’re up to the task it is a fun climb with interesting characteristics and varied lines of ascent. Unlike the Bottle, it hosts many small tree islands which occlude the views of neighboring sections. You’ll have to explore to cover all the real estate available, but this offers a good excuse to climb it more than once. The trees also provide areas of natural protection below some of the harder sections. 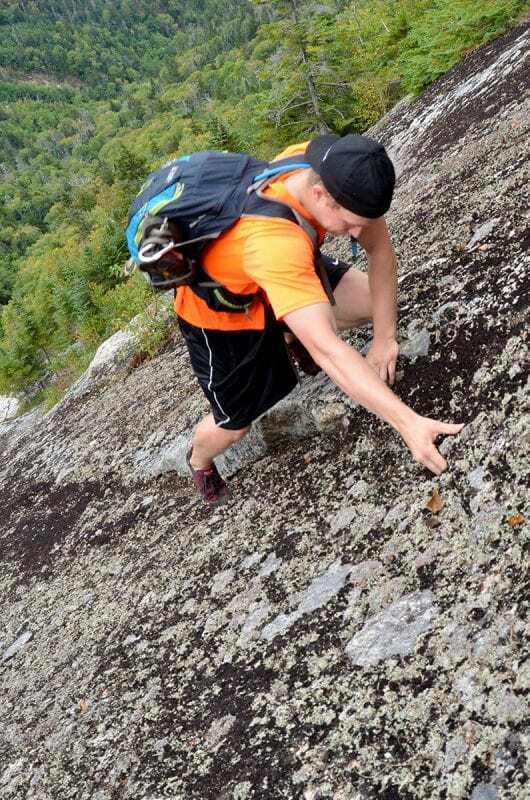 Overall, it offers sustained exposed climbing. » Continue Reading. I’ve taken thousands of photographs in the High Peaks, different areas I want to bushwhack, climb or pitch a tent. I’ve been focusing on Panther Gorge over the last several years and my collection of photographs has grown accordingly. I was studying the photos and dreaming of warmer days last winter when a close-up of a rectangular scoop at the southern end of the Marcy cliffs caught my eye. The lines in its face begged to be climbed. » Continue Reading. 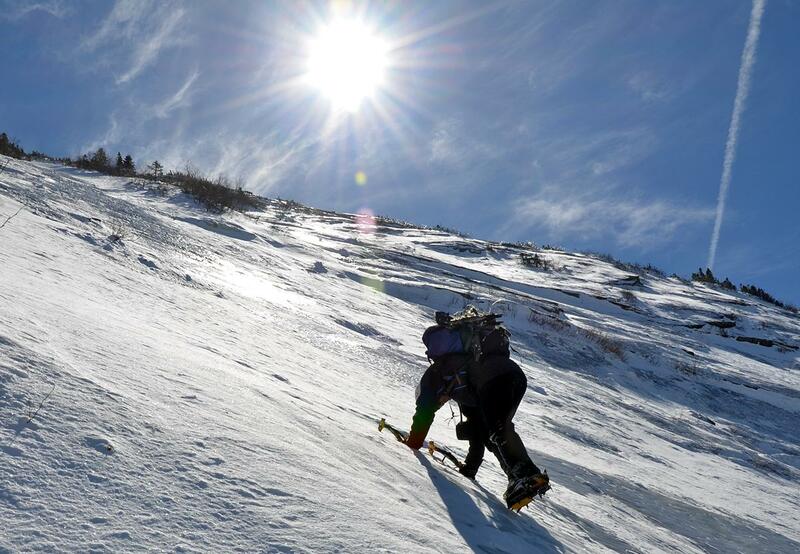 The North Face of Gothics is one of the area’s classic backcountry face climbs. Add winter conditions and you set the scene for an exciting alpine adventure. It’s over 1,000 feet tall and more than a quarter-mile wide so it’s an obvious feature when looking southeast from Lake Placid. It’s springtime! Well, according to the calendar. 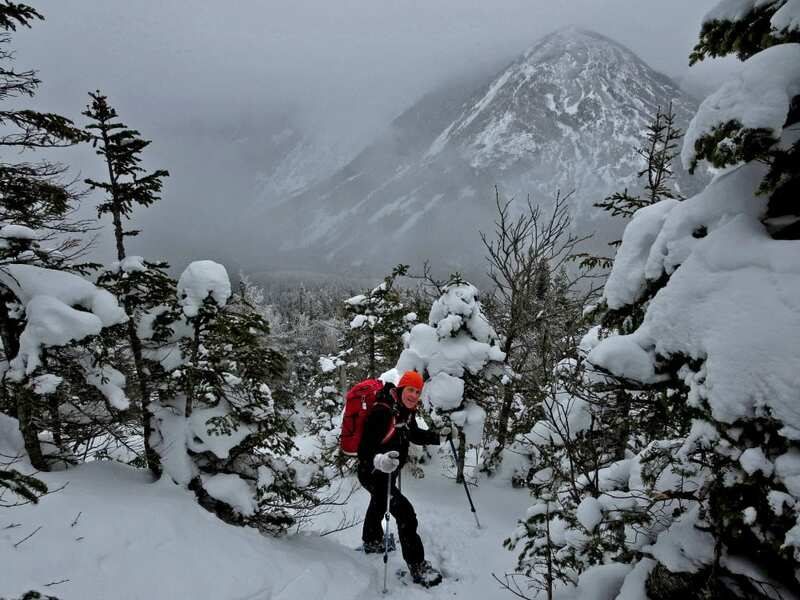 The snow may be slowly disappearing from the lower elevations, but there were full-on winter conditions during a climb up Mt. Colden’s Wine Bottle Slide on Saturday. 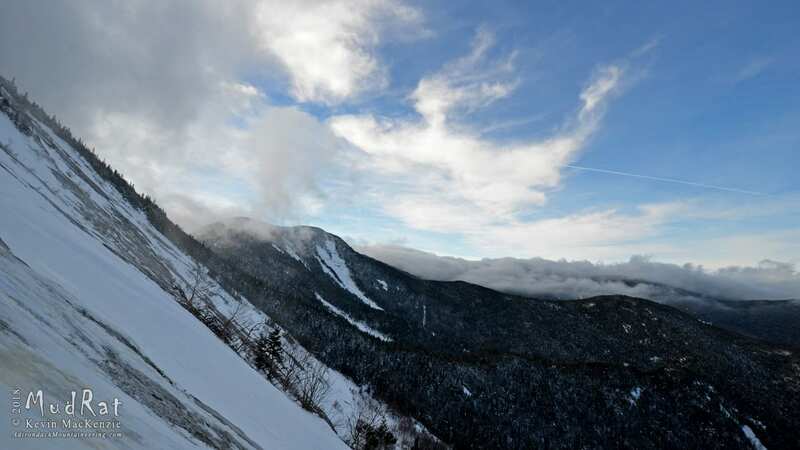 The slide lies 800 feet southwest of the Trap Dike and overlooks both Avalanche Lake and Lake Colden. As the name implies, its shape resembles a bottle of wine. The appeal of the slide lies in its location as well as the technical footwall and cliffs about halfway up the 2,000 foot long swath. 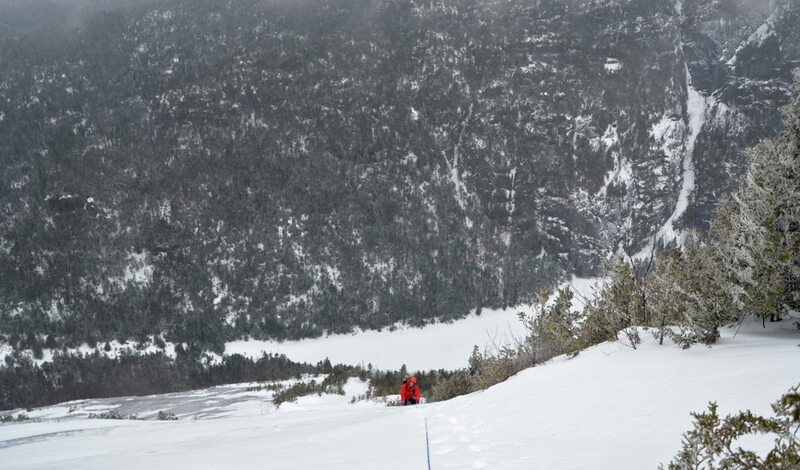 If you want to test your winter mountaineering skills, this is a good place. » Continue Reading. Giant Mountain offers a diversity of ascent options, but I’ll admit to playing favorites. Ascending the Ridge (Zander Scott) Trail and climbing the expansive East Face sets the stage for a day with breathtaking views on approach and a challenging slide climb as the main event. The steep dominant ledges that traverse much of the face set this apart from many other slides. I’ve scaled the great scar several times over the years so finding new ways to breach the crux becomes part of the fun as I plan each outing. For crying out loud, the beast is over ¼ mile wide and 1,200 high so the choices are as diverse as one’s imagination and comfort level. Giant’s proximity to Route 73 also makes it a good option when seeking a late start as my partner, NP, and I had planned. My trips often begin at 5 am. Here I can begin hours later and still return before dark. We parked near Chapel Pond and ascended the Ridge Trail under a bright morning sun. Conditions were perfect with temperatures hovering around 10 degrees at elevation. There were stunning vistas from the southwest ridge. » Continue Reading. ADKHighPeaks.com has gained popularity in recent years due to a well-organized format and plethora of hiking/scrambling information contributed by a broad base of members. 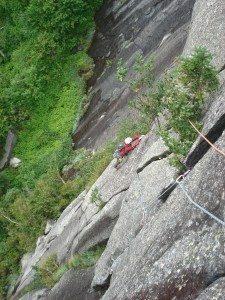 For those unfamiliar with their layout, a variety of sub-forums (trip reports, general hiking information, ADK 100 Highest, Slide Climbing Reports, New England Hiking etc.) are organized by broader categories (hiking, Adirondack Slides, Special Interest, etc.). The newest sub-forum, Fitness and Training, is an exciting new addition to the Foundation’s site located under General Hiking – those serious about training won’t want to miss this. 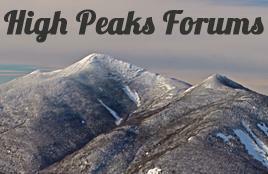 Steve House and Scott Johnston, authors of Training for the New Alpinism, are the mentors for the sub-forum. They bring an incredible depth of knowledge to the table and offer forum members a rare chance to interactively tap into the collective knowledge of two experts in the climbing and training fields. » Continue Reading. Panther Gorge’s scenic wonders were featured in Adirondac Magazine’s September/October issue—the secluded talus fields, beaver ponds, a waterfall, the moss covered forest floor and meandering brooks. Above the forest lies the technical climbing area. 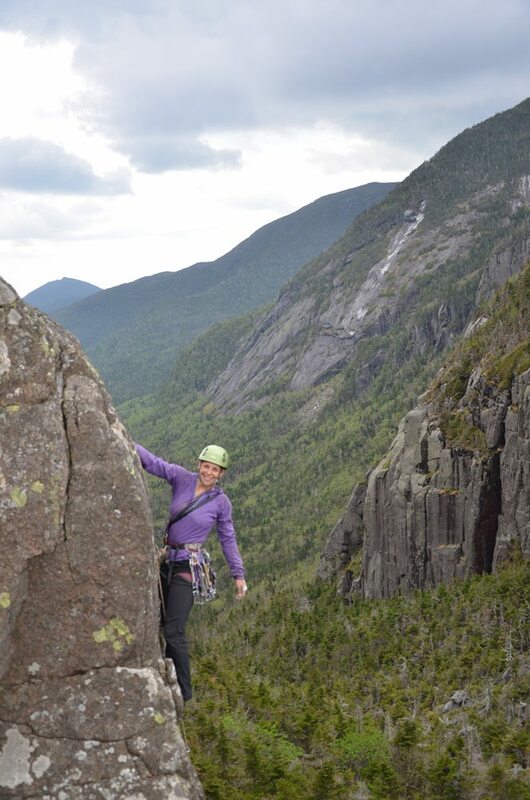 A multitude of cliffs adorn the sides, but one stands out from the rest – Mount Marcy’s Agharta Wall. The name was inspired by the Miles Davis’ Agharta album after Christian Fracchia and Charlie Dickens made the first ascent of the Agharta ice route in 1999. The alternate meaning, a Buddhist reference to a mythical subterranean world “also fit with how the gorge feels,” noted Fracchia. Walk deep into the gorge, especially on a dreary day, and you’ll realize how true this is. 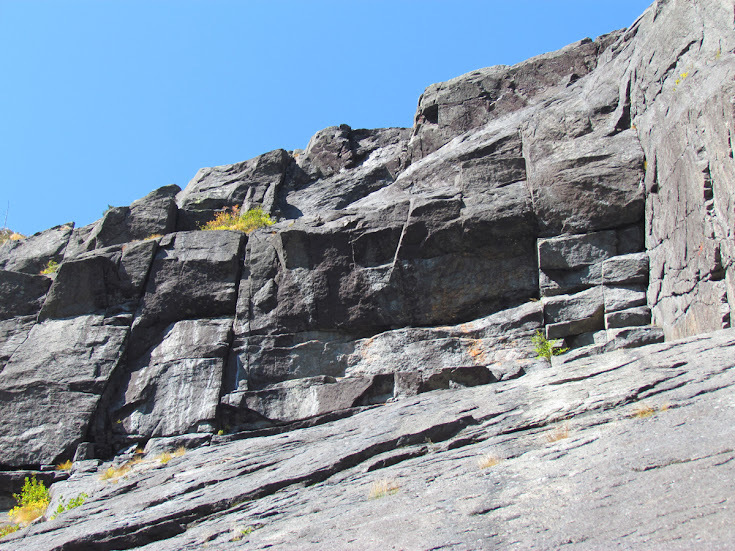 Rock climbing routes are continually being created or “put up” on cliffs inside the blue line. Adirondack Rock’s recently published second edition adds 1,162 new routes to those in the first edition. In comparison to many areas, Panther Gorge has seen little route development. The first recorded technical ascent in the gorge was in 1936 when local guide and climber Jim Goodwin ascended cliffs on the Marcy side of the north end; his exact line is not clear. Only eight more routes were put up between 1965 and 2010, five of which involved Bill Schneider during 2003 and 2004. Since 2012, six more have been added. Two lie on Marcy’s East Face, three lie on the Haystack side (including a free-standing pillar) and another called Wreck of the Lichen Fitzgerald ascends the Agharta Wall. » Continue Reading. Most people who know me are familiar with my fascination with Panther Gorge. Its isolated location draws me annually like a moth to a flame. 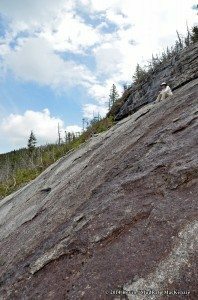 The site is home to some of the most intriguing and rugged Adirondack terrain—technical cliffs, beaver ponds, tranquil streams, shadowy talus fields and a beautiful slide that sparked my initial curiosity. If you have climbed Mt. Haystack then you may be familiar with Grand Central slide, at least from a distance. This predominantly southeastern aspect slide delineates the east face slab from the steeper cliffs farther north in the gorge. Its release point begins in a sea of dense evergreens near the crest of Marcy’s southeast ridge. It ends 700 vertical feet below at the top of a cliff split by a right-leaning crevasse with a waterfall. Like nearly all venues in the gorge, the view from its curving track surpasses words. » Continue Reading. 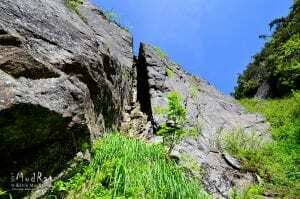 The northern cirque of Dix Mountain hosts one of the region’s best slide climbing destinations with numerous tracks of quality rock. Even if you’re not an adventurer, it’s difficult not to appreciate the artistry and power of nature while driving from Keene to Keene Valley on Route 73. Collectively known as the Finger slides, the array is arranged from southwest to northeast spanning ½ mile beginning with the Thumb slide and ending with the Pinky (Per Drew Haas’ Slide Guide). Multiple slides sometimes make up one finger. Though several slides existed prior to the cloudburst, they were recreated in their current incarnation during the second week of August in 1993; Adirondacks Alive by Olaf Sööt and Don Mellor shows an excellent photo of the fresh slides. Not surprisingly, climbers began exploring soon thereafter. A few years later the New York State Department of Environmental Conservation (DEC) reported that a scrambler was injured by a falling rock; a reminder of the inherent danger of slide climbing. While the approach is fairly long, it’s via a scenic trail that passes Round Pond and traverses along the North Fork Boquet River. » Continue Reading. The title of this post could also be called “Santanoni Snow Slog” or “Snow Swimming up Santanoni”. Conditions were not good, but those are the chances you take when planning this type of outing. The avalanche probability had been high for a few weeks which delayed plans over and again for this trip. I can’t really complain since conditions were stellar during several of my outings over the past couple months. I secretly hoped to find frozen cascades and at least a bit of ice-entombed slab during this trip as well—inside I knew better. Alan Wechsler and I decided to explore Twin Slide on February 22nd with the foreknowledge that we might be turned back if conditions seemed too avalanche prone. 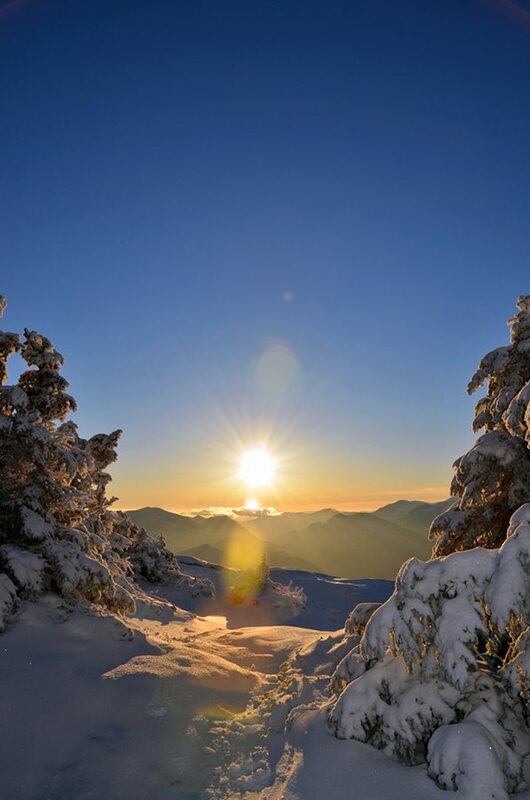 He hoped to add another peak to his winter list while I simply needed an adventure.